Eras of Love Series ~ Book One Love in the Catskills is the first book in the Eras of Love series, each novel focusing on the strongest of all forces against the backdrop of the progressive eras of American history. The trials and tribulation of Mary, Hester, and their descendants are certain to enthrall the reader as these women fight, not only for their unique place in the world, but also for the ones who hold their hearts. Prefer buying through Amazon? Click here! 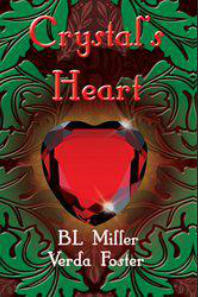 What happens when love is based on deception? Can it survive discovering the truth? Accidental Love is a captivating story between Rose Grayson, a destitute lonely young woman and Veronica Cartwright, head of a vast family empire and extraordinarily rich. A horrific accident brings them together, but will the truth end up tearing them apart? Prefer to order through Amazon? Click here! with Verda Foster "...I'm sending you and that smart mouth of yours to Sapling Hill." The judge's words meant nothing to Grace Waters. He was just another disapproving voice in a long line of disapproving voices. 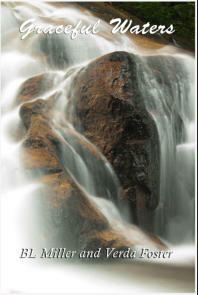 When tough instructor Carey meets angry and disillusioned Grace Waters, neither is prepared for what comes next. Stubborn and angry Grace meets her match in Carey, the strong and disciplined woman who is determined to help Grace help herself. What Carey is not expecting is that Grace will break through her defenses. Together, they will change each other's lives in ways that neither thought possible. Prefer to order through Amazon? Click here! 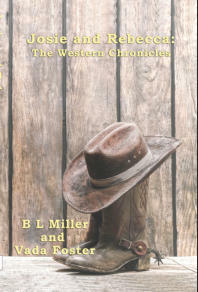 with Vada Foster ​ At the center of this story are two women; one a deadly gunslinger bitter from the injustices of her past, the other a gentle dreamer trying to escape the horrors of the present. Their destinies come together one fateful afternoon when the feared outlaw makes the choice to rescue a young woman in trouble. For her part, Josie Hunter considers the brief encounter at an end once the girl is safe, but Rebecca Cameron has other ideas.... Prefer to order through Amazon? Click here! 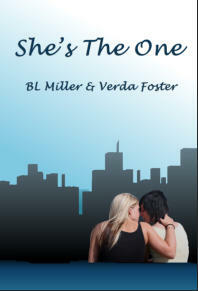 with Verda Foster Career cop Laurel Waxman wasn't looking for love when rookie Nicole Burke became her temporary partner. Looking or not, she finds it, and her routine life is turned upside down. Sure that Nicole feels the same, Laurel takes a chance. Will her heart be broken in the process? Nicole feels the pull, and wants to give in, but she's been hurt in the past and has a rule to never date anyone she works with. Can Laurel get through this roadblock and convince Nicole, She's The One? Special! 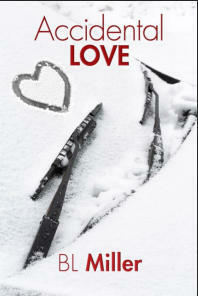 Purchase autographed copy and receive matching ebook. $20 includes priority shipping within the US. Prefer to order through Amazon? Click here! 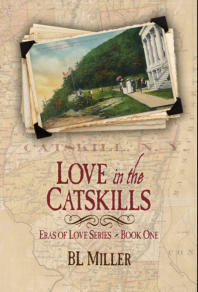 Eras of Love Series ~ Book One Love in the Catskills is the first book in the Eras of Love series, each novel focusing on the strongest of all forces against the backdrop of the progressive eras of American history. The trials and tribulation of Mary, Hester, and their descendants are certain to enthrall the reader as these women fight, not only for their unique place in the world, but also for the ones who hold their hearts. Prefer to buy through Amazon? Click here! Accidental Love What happens when love is based on deception? Can it survive discovering the truth? Accidental Love is a captivating story between Rose Grayson, a destitute lonely young woman and Veronica Cartwright, head of a vast family empire and extraordinarily rich. A horrific accident brings them together, but will the truth end up tearing them apart? Prefer to order through Amazon? Click here! with Verda Foster "...I'm sending you and that smart mouth of yours to Sapling Hill." The judge's words meant nothing to Grace Waters. He was just another disapproving voice in a long line of disapproving voices. When tough instructor Carey meets angry and disillusioned Grace Waters, neither is prepared for what comes next. Stubborn and angry Grace meets her match in Carey, the strong and disciplined woman who is determined to help Grace help herself. What Carey is not expecting is that Grace will break through her defenses. Together, they will change each other's lives in ways that neither thought possible. Prefer to order though Amazon? Click here! with Verda Foster Career cop Laurel Waxman wasn't looking for love when rookie Nicole Burke became her temporary partner. Looking or not, she finds it, and her routine life is turned upside down. Sure that Nicole feels the same, Laurel takes a chance. Will her heart be broken in the process? Nicole feels the pull, and wants to give in, but she's been hurt in the past and has a rule to never date anyone she works with. Can Laurel get through this roadblock and convince Nicole, She's The One? Prefer to order through Amazon? Click here! with Verda Foster Crystal Sheridan is a professional stripper, an alcoholic, a drug user, and homeless. Laura Taylor is a lesbian, professional writer, obsessive tidier, and control freak. Fate brings them together as improbably housemates. Can Laura and Crystal break through their carefully constructed walls against the past and learn to get along and start to embrace life again?